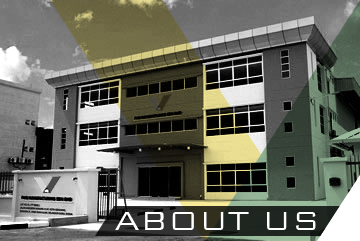 The leadership and expertise behind VTA have been providing engineering solutions and products for over 40 years. VTA manufactures valves from its global manufacturing facility at Shah Alam Selangor. The engineers and technicians at VTA have a wealth of experience and expertise in working with a wide spectrum of industries, particularly the petro-chemical, mining and pipeline industries, with varying requirements and volume productions. Our expertise allows us to manufacture components that can withstand the strict criteria demanded by a wide variety of industries. Our experience across a broad spectrum of customer markets has allowed the development of the skills and techniques required to deal with just about every material used in modern manufacturing and every need that may arise in manufacture or delivery of specialist valves. VTA provides valves to control the transfer of fluids for the petrochemical and mining industries and is a specialist provider of valve solutions for these industries. Gathering the most experienced and technically proficient experts together to create a team that has the knowledge, expertise, credibility and resources to develop a significant presence in the global ball valve market. That vision was realized by the creation of VTA which is now a major international manufacturer and supplier of ball valves. VTA is a designer and manufacturer of a premium range of tailored ball, gate and control ball valves for all sectors of industry but particularly the petro-chemical, mining and pipeline industries. Our focus is on meeting our customers’ most exacting requirements and delivering solutions to satisfy and exceed their specifications. We deliver our products on-time and have the resources and expertise to ensure trouble free installation a long and productive lifetime. At VTA we take great pride in our work and in providing the right solution for each of our customers, when you engage VTA you receive.